The second I heard that Alexander Chee had a novel coming out about a Belle Époque opera singer with a secret I went on a mission to figure out how I might ferret out an advance copy. I put The Queen of the Night on pre-order in hardback but I knew I was going to need time to read, and re-read, and digest. Basically, I just want to snuggle the book and pet it because it is that good so I’ll try and write something reasonably coherent. Lilliet Berne is what is known as a Falcon soprano (named for the first such singer, Cornélie Falcon), with a voice of incredible darkness and power but a very fragile physical instrument. Lilliet’s secrets have secrets, secrets that could be deadly. When she is offered an original role, an accolade that would cap her career, the opera’s libretto threatens to bring her secrets to light. The librettist is an unknown, the novel it is based on unknown to Lilliet. As she recalls her life, delving through many layers of intrigue and disguise to determine which person betrayed her, the reader begins to wonder: who is Lilliet and what will happen to her? 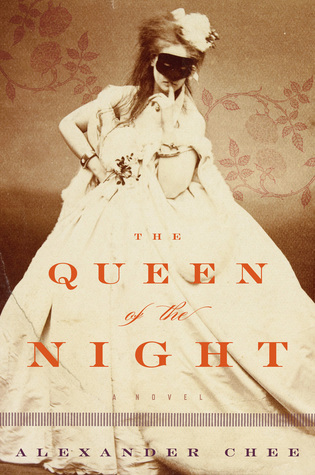 The Queen of the Night is a novel at the intersection of Romanticism and Realism, two major movements in nineteenth-century art. The surreal nesting of Lilliet’s many-layered life inside the harsh reality of an orphan in Paris during the Second Empire. The sturm und drang of the opera next to the monotony of being a grisette in Empress Eugénie’s vast wardrobe. The glittering heights of celebrity outline the horrifying years when Lilliet is treated as a possession. Were this to become an opera, Verdi would have to compose the music. Lilliet is the Queen of the Night – a role she loves for its dark power and famous for the fiendishly difficult “Der Hölle Rache kocht in meinem Herzen”/”The vengeance of hell boils in my heart,” is Carmen – trapped by the hand of cards dealt to her, is Violetta – caught between her heart and her past as a courtesan, is Leonora – the casualty of a revenge plot decades in the making. As Lilliet notes: “victory, defeat, victory, defeat, victory, defeat.” As I was re-reading the book, I noticed that I wanted to listen to Mozart’s Don Giovanni and Pucinni’s Tosca. Odd, because Giovanni is a baritone role, clearly not something Lilliet would sing, and Tosca did not premiere until 1900, well after the events of the book. But there is something echoed in Lilliet’s struggle against what she views as a curse brought on by hubris: Giovanni brazenly inviting his doom to supper and Tosca singing her haunting aria “Vissi d’arte” about art and prayer. Tucked in among all the activity with circuses and Emperors and celebrity and opera, there is the simple story of a teenage girl who believes she is to blame for a karmic misfortune. In her haste to get away she commits error after error as any inexperienced, grieving teenager might do, stumbling into misfortune and by sheer strength of will and cleverness keeping herself alive. She becomes the famous Lilliet, leaving the adult woman to salvage what is left of the little girl from the Minnesota prairie. Whatever your thoughts on opera as a music form, this coming-of-age tale with its mysterious twists and turns is the heart of Chee’s novel. A brilliant book to start 2016. Dear FTC: I did a first-read of this novel using a DRC provided by the publisher via Edelweiss and then I bought a copy because why the hell wouldn’t I?